Navi Mumbai Municipal Corporation (NMMC) Recruitment 2019: Navi Mumbai Municipal Corporation has recently publish an advertisement notification for Primary Teacher Posts vacancies jobs opening for December 2019. The NMMC notification for the Primary Teacher Posts, candidates who are interested may apply in the prescribed application format on or before 02-01-2019. 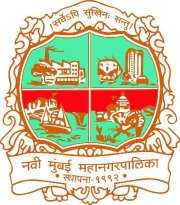 The total vacancies in Navi Mumbai Municipal Corporation (NMMC) Primary Teacher post details are given below. Starting Date to Apply Online Application Form: 26-12-2019. The minimum educational qualification for NMMC Recruitment 2019 for the Primary Teacher posts is given below. Candidates should possess Full-time graduation Applicants should have Completed HSC with D.Ed (or) B.A with B.Ed (or) B.Sc with B.Ed in the Concerned Disciples from recognized University or Institutions. For other eligibility criteria details refer official notification. (Please check full details in the advertisement).